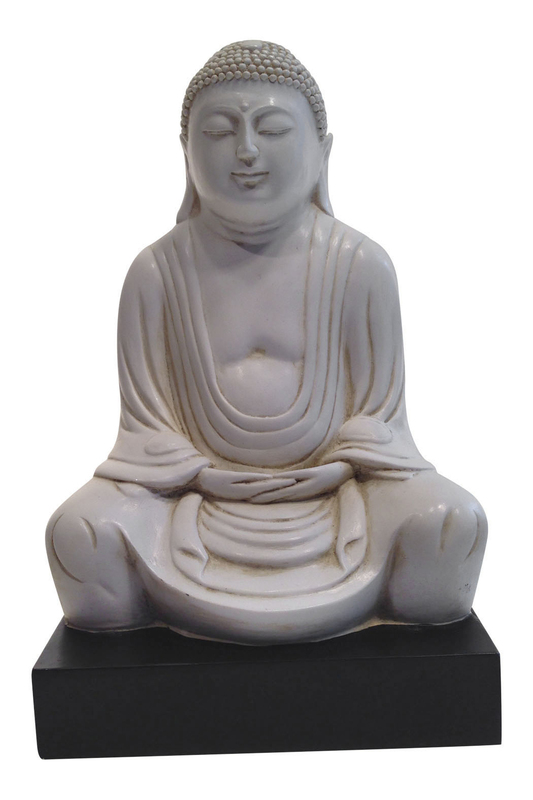 View cart “Ivory Resin Buddha” has been added to your cart. 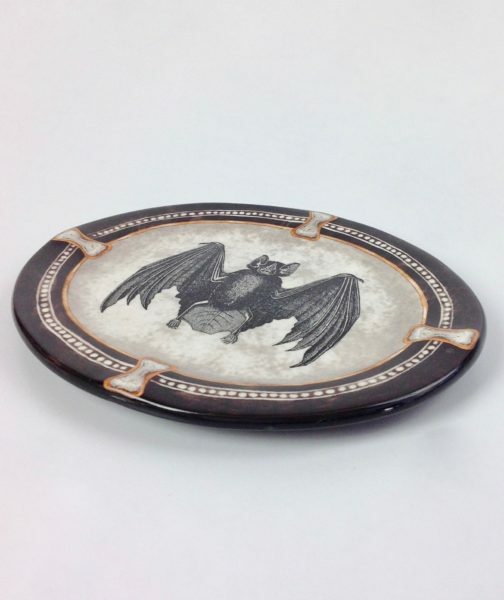 Heavy oval ceramic side plate with a glazed image of a BAT in the center and bones along the rim. 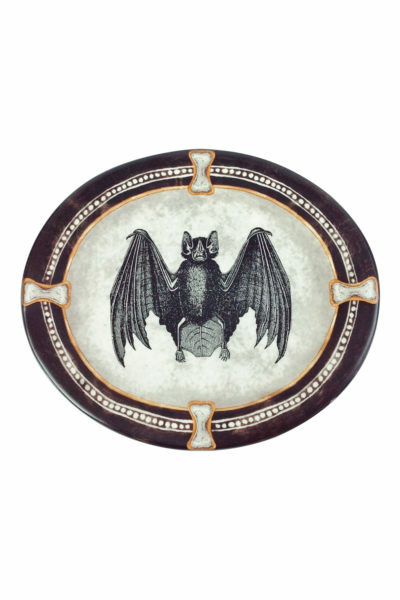 Great as a desert plate or side dish!